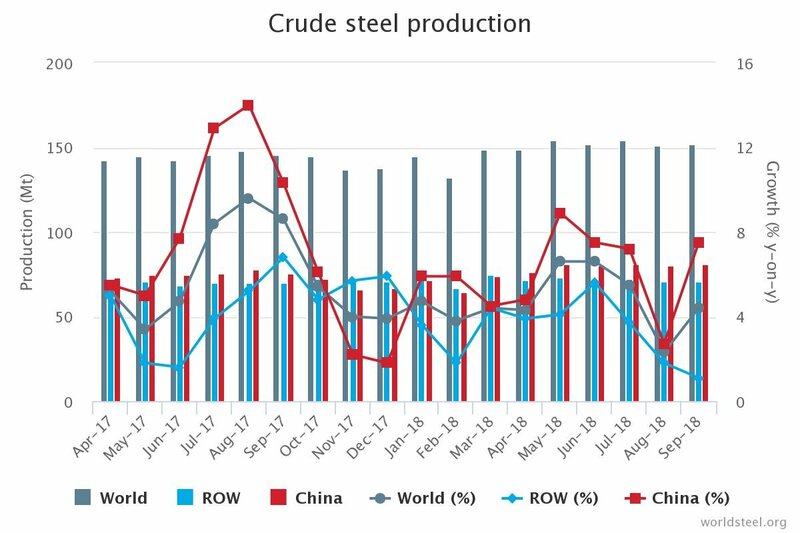 World crude steel production for the 64 countries reporting to the World Steel Association (Worldsteel) was 151.7 million tonnes (Mt) in September 2018, a 4.4% increase compared to September 2017. World crude steel production was 1,347.0 Mt in the first nine months of 2018, up by 4.7% compared to the same period in 2017. Asia produced 946.8 Mt of crude steel, an increase of 5.5% over the first nine months of 2017. The EU produced 128.0 Mt of crude steel in the first nine months of 2018, up by 1.3% compared to the same period in 2017. North America’s crude steel production in the first nine months of 2018 was 89.7 Mt, an increase of 3.4% compared to the first nine months of 2017. The C.I.S. produced 76.2 Mt of crude steel in the first nine months of 2018, up by 1.8% compared to the same period in 2017. China’s crude steel production for September 2018 was 80.8 Mt, an increase of 7.5% compared to September 2017. Japan produced 8.4 Mt of crude steel in September 2018, a decrease of 2.4% compared to September 2017. In the EU, France produced 1.3 Mt of crude steel in September 2018, an increase of 1.4% compared to September 2017. Italy’s crude steel production for September 2018 was 2.2 Mt, down by 0.8% on September 2017. Spain produced 1.3 Mt in September 2018, an increase of 5.1% on 2017. Turkey’s crude steel production for September 2018 was 2.8 Mt, a decrease of 5.9% compared to September 2017. The US produced 7.3 Mt of crude steel in September 2018, an increase of 9.0% compared to September 2017. Brazil’s crude steel production for September 2018 was 3.0 Mt, up by 2.5% on September 2017. 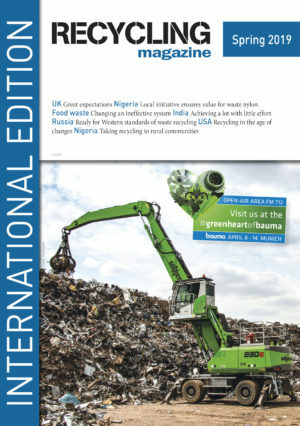 The European Parliament has approved the report which would make it mandatory to produce beverage containers composed of at least 35% recycled plastic by 2025.